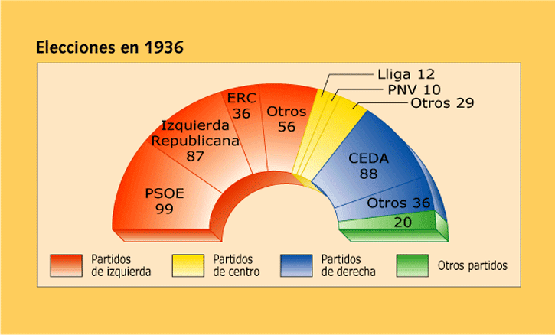 The Frente Popular won the elections in Februrary 1936. The coalition was led by Manuel Azaña and Santiago Casares Quiroga who amnestied political prisoners involved in the Asturias Revolt. 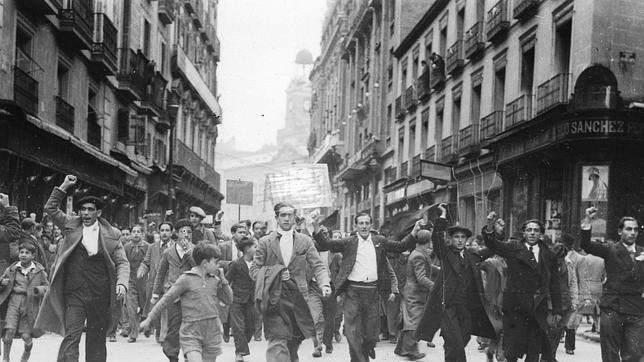 The most important reforms introduced in the Reformist Biennium were reestablished by the Popular Front: mainly the agrarian reform and the Catalonian Statute. 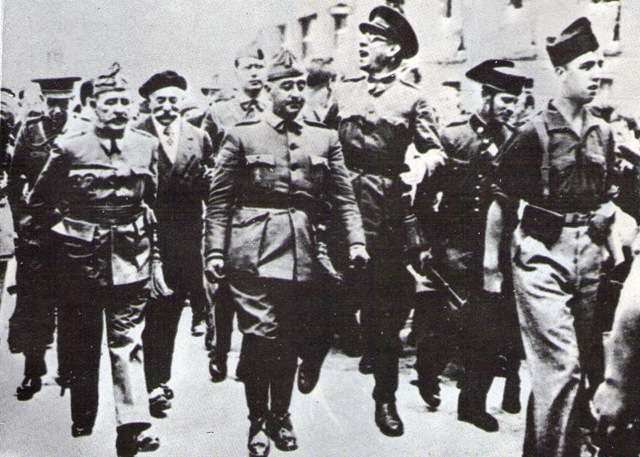 All these measures caused a radicalization: the left wing of the PSOE coped the most important position where as on the right, the Falange Española led by Jose Antonio Primo de Rivera defended a fascist regime in Spain. The Tragic Spring in 1936 were violent confrontations between falangistas, communists and anarchists. The conservative factions of the Army had been conspiring against the Republic since Popular Front won the elections and organized a coup d’état led by General Mola. The assassination of Jose Calvo Sotelo on 13 July 1936 open the door for the military insurrection.